As I have said in an earlier blog that the word Discernment is one that can change your life and move you from one direction and go off in another one. Sometimes you can see it coming and other times you stop and ask yourself if this is real or not. It is different for each person. For some discernment is a quick process with little variance, while others it is longer and many ups and downs. One thing that is common for each person that is discerning is that your life is going to be different. There will be a change for you. It may be that you have become more sure and eager for your life as it is or getting ready for that change in direction. Either way, be ready. With this being Vocations Awareness Week, Discernment goes right along with it. This week focuses on the Vocations to the Priesthood, Religious Life and the Diaconate. I must say there was a time I was asked about the Diaconate and if I would think about it. Oh I did think about and did discerned it for about a day and was a definite, No. Not a single doubt in my mind. Just not for me. Maybe it was a quick discernment because I had another vocation that I needed to discerning. Even after I started to talk to people or share my idea of the Priesthood, people would say why not just be a deacon. It is having both worlds in your life. It still was a resounding no. 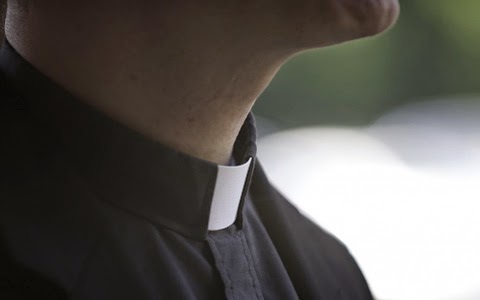 Now, do not get me wrong I think the Vocation to the Diaconate is a great and much needed. Just, not for me. Same as the Priesthood or Religious life is not for everyone. My discernment has had some interesting turns, deep valleys, great highs and some plateaus. The greatest obstacle I have found in this process has been ..... well,.... me. I allow my own thoughts and doubts to get in the way. My doubts have caused me to pull away and question God in such a way that I lost my way and ended up in a dark and lonely place. This was the lowest part of this discernment and from my end it was done. No more of it. The decision was made and I was no longer discerning. Yet, God was not done with the idea and He started to show some light on the path back to where I needed to be. What I suggest for this and unfortunately at the time I did not do it but keep a journal of the times where God is showing you the path, when you get a message or something happens that makes it right. Then sit down and read it over and over till you feel that peace again. I do not want to dwell on the lows or the doubts because it is easy to get wrapped up in them. I rather speak about the highs. There have been times when everything makes sense. There are no doubts and it is almost like getting an email from God saying “ OK.. Good Morning, here is all you need to do today and oh.. by the way, your right where you need to be right now. ~ God”. Those are great times. These are the moments that will fuel you during the lows and even more during those plateaus. The plateaus are those times when it seems you are just going through the day and you are not certain but are not doubting it either. Your life is just going on and you are living your life like there is no other life right now for you. I do not know if you understand what I mean. It is hard to explain. Life is just Life. No more, No less then what it is. Maybe the best way to say it is that you go into Baskin Robins where you have 31 flavors to pick from but you go in and its just vanilla that is on the menu. All 31 flavors are just vanilla. You do not mind it because you like it so you just continue on. You are not disappointed and yet your not excited either. It just fine. That is the plateau. Just fine. You have to tell someone you are discerning. The reason is it makes it real. It is not just a passing thought. You need someone to bounce things off of and also to help pray for you and with you. Keep a journal on the highs so you can remember them when times are hard. Pray, Pray, Pray and when you are done pray some more. Attend mass as often as you can. Try and find masses during the week. Check out masstimes.org to find masses near you as well check local websites and their bulletins. Tell others as times go on because the more people that are keeping you in prayer is a good thing and the support you get is needed as well. Confession. I would at the least say go once a month and better is twice a month. The best is once a week. I know it may not be easy but check out times for confession from masstimes.org and you can even call the parish and make an appointment for confession. Read the bible. Open it up and read or decide on some spiritual readings. Learn about the Saints. Pick a Saint to help you along the discernment. Pray to your guardian angel. Discernment is not an easy road at times but it will be worth it. One more thing that I should add is sometimes when you are discerning a vocation vs a life you are living is that one is not always going to seem better then the other. Both decisions can be good. There is not always a clear right or wrong idea. Both have pros and cons and it is only going through discernment you will find the correct path for you. Until tomorrow, God Bless, and may you learn your vocation in life.